There is a little bit of artistic talent in all of us. To design your own custom design is not as hard as you may think. I will show you how. There are many ways to make your concrete surface have a signature finish. One way is to do a swirl type finish. You can also add color to your concrete to give it a little more of your own personal flair. Let's see how to make a swirl type concrete finish. Take your trowel and tip it slightly to its side. In other words just use the edge of your trowel to make your swirl design. Work the trowel lightly making sure not to dig into the concrete too deep. Make sure you do not dig the edge of the trowel into the concrete also. Do not make a uniform pattern. Just make random patterns for a swirl look to your concrete. Make interlocking arcs in the concrete. Don't forget to texture your edges to get a uniform look. Continue this in the next section to keep your theme of random swirls going. Now you just let it dry and you are done. A church is a place of prayer and meditation. You can add a deeper level of serenity to your prayer time by enjoying the sights and sounds of nature when you create a church garden. These tips will help you design a garden. Even a church with limited extra space can carve a neat prayer corner for its parishioners by using at least a few of these design ideas. Sketch out a scaled, aerial view of your property. View placement and layout of possible driveway proportions. Sketch a few ideas, patterns or designs. Look for inspiration in the latest home exterior design magazines or seek the advice of a professional for a crisp and unique look. Take measurements for the square footage you will need to complete your driveway design. Decide on materials. While concrete and asphalt are the traditional media formaking driveways, there are now many options available in making your own driveway design. 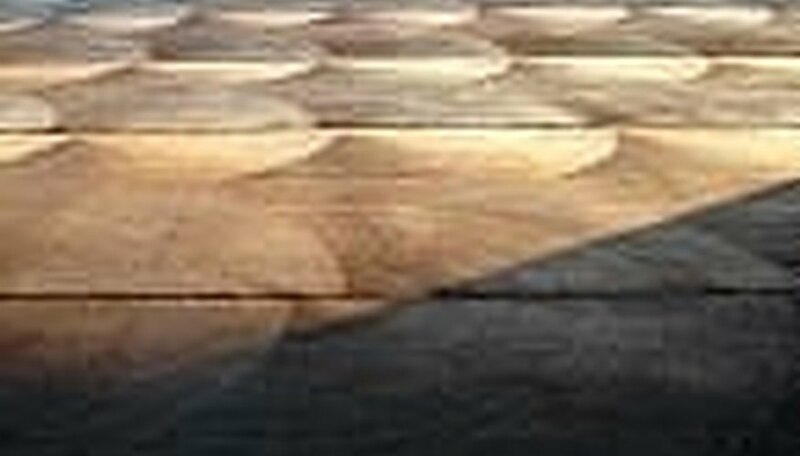 Try concrete materials such as stamped concrete, concrete engraving, exposed aggregate finishes, colored concrete, sawed or grooved patterns, concrete stains or interlocking concrete pavers. Arrange to remove old driveway. Take out the old concrete with a jack hammer and haul off into a large dumpster. Start with the properly prepared subgrade. The subgrade should be compacted and should be level and even thickness. A typical driveway is 4" thick consistently. Ensure that the joints are correctly placed in your design. Plan for proper drainage. The concrete should slope 1/4" per running foot away from the house. Map out the position of reinforcements. Reinforcements can be wire mesh or steel bars placed in a webbed pattern. Don't forget to enhance your designed driveway with surrounding accents of fencing, stones, bushes or flowers. Search backyard design ideas from online decor and garden sites. When you've found some that you like, print them out and use them for reference. Design your deck with a program like the Deck Visualizer from DIYonline.com. After you've named your product and created a membership, it gives you free access to its deck design tools. Take pictures of your backyard, or copy and paste those that you've created in the Deck Visualizer. If you plan on redesigning multiple areas, you'll want to take individual photos of those spaces. Log onto showoff.com and click on the "Visualizer" tab on the navigation bar. You will need to log in or create an account. Upload the pictures of your backyard to the site. Click on the "Category" tab on the lower right-hand corner of your screen. Choose the category of items you want to put in your backyard. Click on the product you want to add. Size the item to scale. Continue adding new items until you feel your backyard is complete. Survey your property - large or small - to find the perfect pocket. Look for gaps and nooks that will hold at least 1 c. soil in sun or shade. Fill any dead space with a pocket garden. 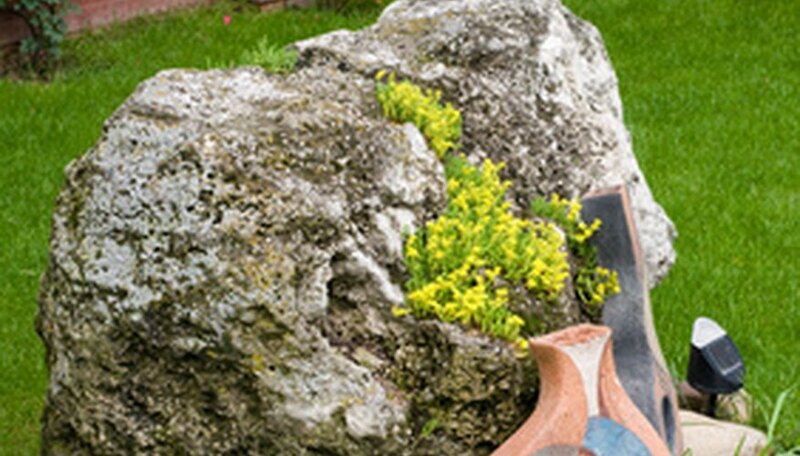 Use cracks in walls, pavement gaps, and the spaces between tree roots, terrace timbers and stepping-stones. Look down that skinny space between the houses and visualize a garden. Stack up rocks and concrete rubble to build a grotto, then plant in it. See a pocket garden as a focal point, or make it a hidden surprise along a garden path or behind a shrub. Decide where to put the pocket, and assess its growing conditions. Add compost to the crevices and make a simple drawing of the planting space. Make your garden drawing a working tool - measure the spaces and plot them on graph paper. Then note where the sun and shade are and mark that as well. Imagine the pocket with plants. Sketch a combination of upright, trailing and flowering plants. Just one of each can make a great start. Check out the smallest plants at the nursery - alpines, dwarf varieties, succulents and small bulbs. If it can grow to maturity in a 4-inch pot, consider it. Use what's there to personalize your design. Plan for color and texture contrasts between your plants and the surfaces that surround the pocket.